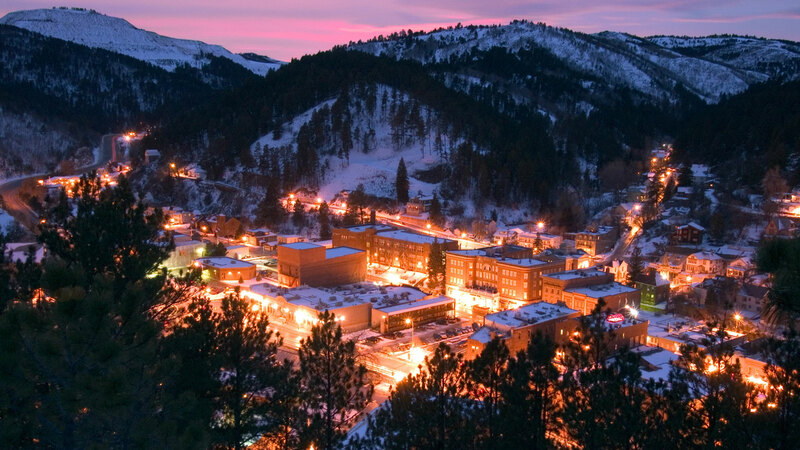 Are you planning a vacation to the Black Hills of South Dakota? Here's your place to find the perfect Black Hills Vacation Home or Cabin! Let us help you make it a memorable one with one of our fully furnished, Black Hills vacation rentals. With cozy, woodsy decor, fabulous amenities and beautiful scenery, you may never want to leave! Whether you are interested in Sightseeing, Snowmobiling, Skiing, Fishing, Hunting, or just having fun, the Black Hills are a wonderful place to relax and enjoy a wide variety of activities. View all of our Black Hills Vacation home rentals. Our excellent selection of Vacation homes can be found in various locations in the Black Hills, including the new Vacation Home Development at Gilded Mountain, which is a community of Vacation rentals ranging from 3 bedroom to 6 bedroom "cabin-style" homes situated in a large loop around the Community Clubhouse. The Clubhouse is available to anyone renting in the development and it features an outdoor heated pool (year-round), 2 hot tubs, a game room with pool table and air-hockey, large screen TV, cable TV and wireless internet, small exercise room and large sitting area to just relax and enjoy! This is a great area for large groups, reunions, wedding parties and families to rent multiple cabins right next to each other. Terry Peak Ski Area is a large community of cabins and vacation homes, close to the largest ski area in South Dakota. Just minutes from the town of Lead and 7 miles from Deadwood, this community has cabins ranging from 1 bedroom to 6 bedroom, 1 block from the ski slopes to 1 mile away. We have many options for cabins close together, for large groups needing multiple cabins. This area boasts beautiful views and scenery with an elevation of over 6000 feet! You can also jump on a snowmobile or ATV trail from the development and start exploring! Deer Mountain Area is a community of vacation homes and cabins ranging from 1 bedroom to 5 bedroom cabins just southwest of the Terry Peak Area and 4 miles from Lead. This community is located by a recreational area - the Mystic Miner Recreation Area has Deer Mountain Ski Resort with the only Zero Gravity Tube Park in the Black Hills and cross country ski trails, just minutes from the cabins. These cabins also have direct access to the snowmobile trails so you can leave from your front door! 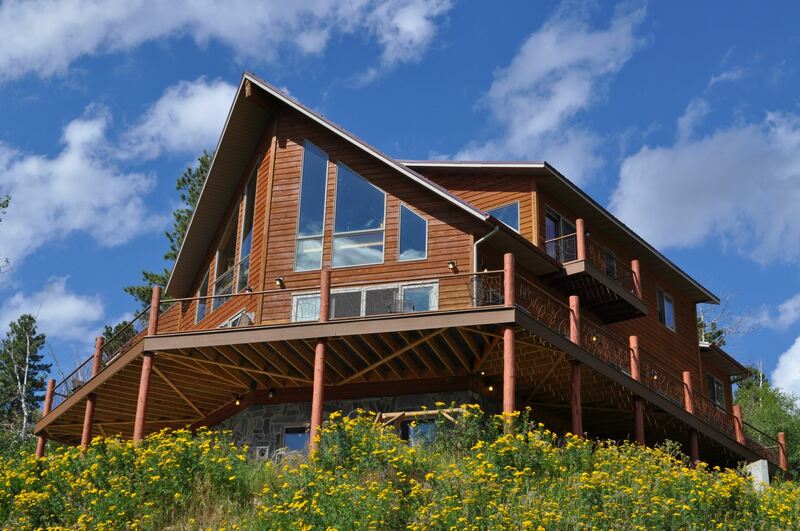 View our full collection of Black Hills Vacation Rentals. Deadwood Connections is located in historic, Deadwood, South Dakota, in the heart of the Black Hills and near the home of the world famous Sturgis Motorcycle Rally. Browse our site to find just the right Sturgis Rally Rental Property to make your visit to next year's Sturgis Rally a memorable one. The dates for Sturgis Rally 2018 are August 5-12, 2018. Reserve early to ensure that you will have a place to stay.